To address the growing complexities of childhood cancer, Nathan and Oski’s Hematology and Oncology of Infancy and Childhood has now been separated into two distinct volumes. With this volume devoted strictly to pediatric oncology, and another to pediatric hematology, you will be on the cutting edge of these two fields. 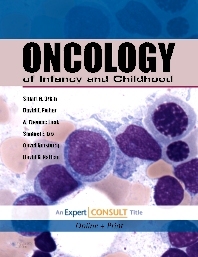 This exciting new, full-color reference provides you with the most comprehensive, authoritative, up-to-date information for diagnosing and treating children with cancer. It brings together the pathophysiology of disease with detailed clinical guidance on diagnosis and management for the full range of childhood cancers, including aspects important in optimal supportive care. Written by the leading names in pediatric oncology, this resource is an essential tool for all who care for pediatric cancer patients. And, as an Expert Consult title, this brand-new resource comes with access to the complete contents online, fully searchable. Offers comprehensive coverage of all pediatric cancers, including less common tumors, making this the most complete guide to pediatric cancer. Covers emerging research developments in cancer biology and therapeutics, both globally and in specific pediatric tumors. Includes a section on supportive care in pediatric oncology, written by authors who represent the critical subdisciplines involved in this important aspect of pediatric oncology. Uses many boxes, graphs, and tables to highlight complex clinical diagnostic and management guidelines. Presents a full-color design that includes clear illustrative examples of the relevant pathology and clinical issues, for quick access to the answers you need. Provides access to the complete contents online, fully searchable, enabling you to consult it rapidly from any computer with an Internet connection. Incorporates the codified WHO classification for all lymphomas and leukemias.